Business marketing has many dimensions and not all businesses can cover every aspects of business marketing in-house. Many of these functions have evolved into specializations calling for experience and expertise — attributes that HMS has built over our 25 years of operations. 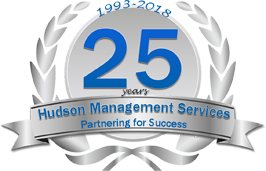 Hudson Management Services, established in 1993, offers custom-built B2B business marketing services and improvement programs through sales enhancement, marketing research and management consulting. HMS is also a leader in B2B lead generation, sales appointment setting and more. We are founded on service and integrity. Our clients experience this trust-building combination of expertise and genuine commitment for their interests. As a result, many clients maintain loyal and long-term relationships. HMS works with a broad range of sizes and types of businesses and can tailor a program to fit most budgets. In order to help you overcome obstacles or fulfill potential, we carefully and comprehensively learn your business marketing needs and build a solid foundation for applying our expertise. We are genuine collaborators and have the distinctive competency to identify and understand all the factors that will effect and be affected by your solution or development program including roles, rules, politics, timing, budgets, etc. — the entire culture. As a legitimate work at home employer HMS partners with the St. Louis County MO Career Centers for our hiring needs. Find out now about our potential opportunity to telecommute from home. As an A+ BBB Accredited Business HMS is dedicated to ethics and building trust with our customers. We are committed to uphold and constantly raise our Standards for Trust.